Sometimes we're called upon to make frames that open, to allow access to what's inside. 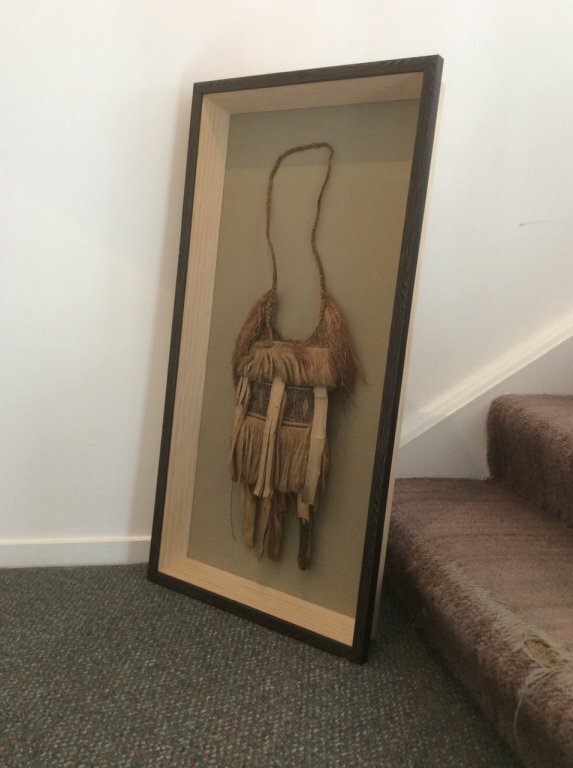 Recently we framed an old and valuable woven basket from Vanuatu. That natural object has a tendency to drop little bits, which gather in the bottom of the frame. By fitting the frame with turn buttons. we made it possible to pop the mounted work out of the frame so the frame can be cleaned out. 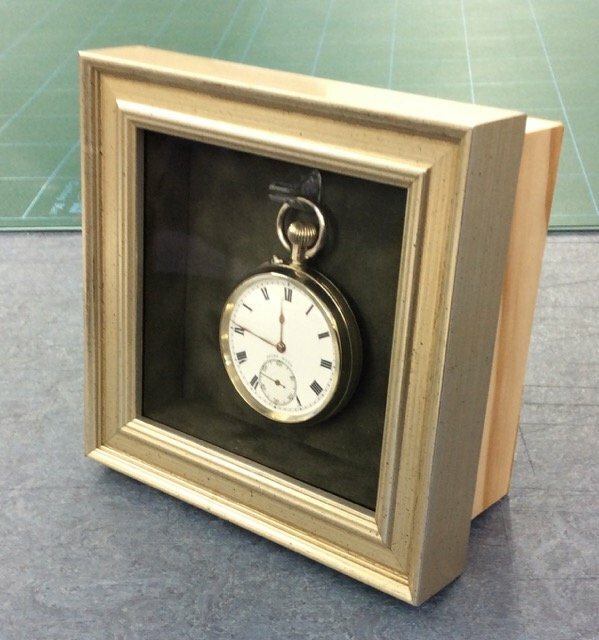 Last year we framed a restored fob watch, a family treasure. We built a box to stand on a sideboard. 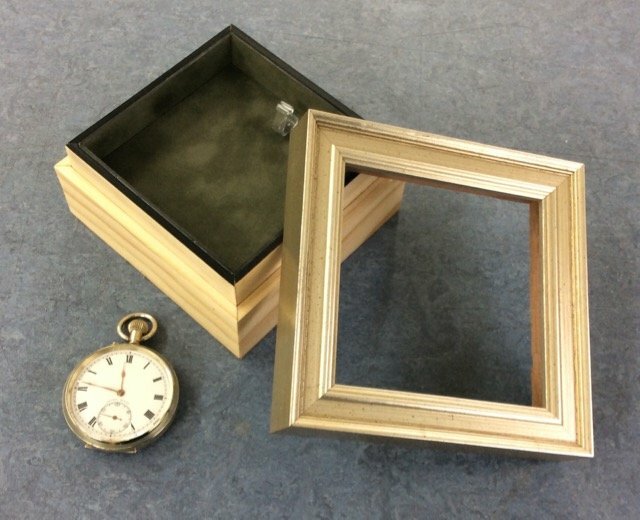 The front of the frame is a lid which can be removed to allow the watch to be wound. 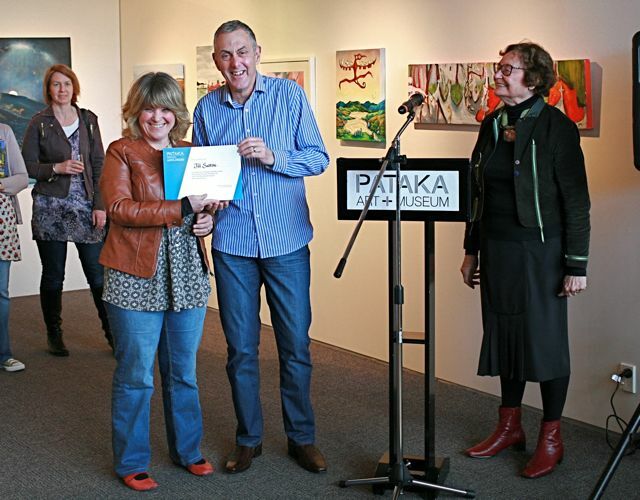 Art Frames is proud to be a major supporter of the Friends of Pataka Art Awards. We sponsor the 'Viewers' Choice' Award and have done so since the Awards began. The photo shows Roger presenting the award in 2014. This competition /exhibition is growing annually. A great opportunity for local artists! 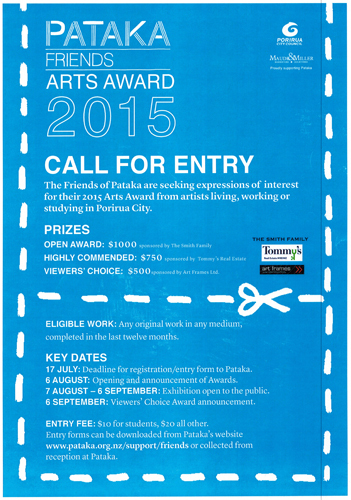 The call for the 2015 Awards has been put out. We've posted the notice here as well. The 2015 exhibition will be open from 7 August - 6 September. Museum Glass - you will be amazed at the clarity! Since framing is as much about protecting your art as it is about making it look wonderful, the choice of materials is important. The link in this post is about museum glass, our clearest, most conserving glass. Amazing clarity and almost total protection from UV light. Cuts reflections in glass to almost nothing and inhibits the fading of artworks caused by UV. Next time you come to see us, ask about museum glass. See the difference!